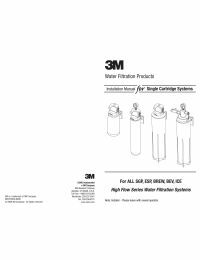 The 3M BEV195 Cold Beverage Water Filtration System provides high quality water through the process of reducing particulates, cysts, bacteria, and the odor and taste of chlorine. 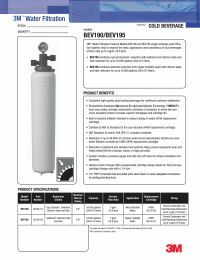 The BEV195 Filter System was formerly labelled as Aqua-Pure BEV195. For Dual Carbonator Dispensers under high turbidity water conditions.